Lhasa River may not be very famous compared to some renowned big rivers, but it is the mother river of Tibetan people. Thus, in their hearts, the river is sacred and cannot be violated. In Tibetan language, it has the name of “Jiqu”. And it means “the River of Happiness”. So, from this perspective, we can see how Tibetan people deeply love it. And if you travel to Tibet, take some time to enjoy the beauty of this holy river near Lhasa. Originated from Nyencheng Tanglha Mountains, Lhasa River flows through Mozhu Gongka County and Dagze County and Lhasa city. Finally, it flows into Yarlung Zangpo River. It is the longest branch of Yarlung Zangpo River with a length of 568 kilo meters. And its drainage area is 32471 square kilo meters, accounting for 13.5% of the total drainage area of Yarlung Zangpo River. As to the annual average runoff, it can reach 6 billion cubic meters, equal to one eighth of Yellow River in China. 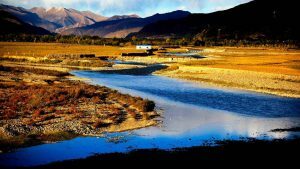 Lhasa River brings wealth to Tibetan people. 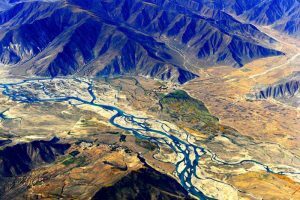 The river flow area is one of the three biggest granaries in Tibet. The other two are Chu River Valley and Yarlung Zangpo Valley. Also, the climate in the area is temperate. Even in winter, the sunlight make it like spring. So, people will feel very comfortable when travel here. For Lhasa citizens, they will drive or walk to the river during holidays or weekends. Normally they go fishing, play with water and pitch tents on the riverside. Near the tents, people eat homemade food and drink yak milk tea. While eating the delicious food, they enjoy the warm sunlight and chat with each other. Therefore, Lhasa River is an ideal place for leisure. For more Tibet travel news or tips, please follow our Tibet Travel Blog. 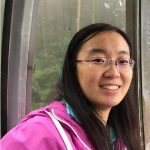 We will update every day!